Building on the strengths to achieve sustainability for independent pharmacies and transformation improvement in the NHS. There are two paths the pharmacy sector can go down. One involves mass automation, centralised dispensing and pharmacists working predominantly from GP practices or remotely. The other sees community pharmacies better integrated with other services, operating efficiently as neighbourhood health and wellbeing centres and being a front door to the NHS. This second path is the only path built on solid foundations, embracing new technologies and new ways of thinking, but preserving the face-to-face contact with patients that is so valued. The NPA intends to lead the sector, through change, to a more sustainable position, with independent pharmacies working right at the heart of the NHS. We have shown that we can mobilise the sector, and patients & public, against changes we oppose. In the same way, we can also mobiIise the sector for modernisation and improvement that benefits us all: Pharmacies, NHS, patients, taxpayers. Read how we plan to go about it. 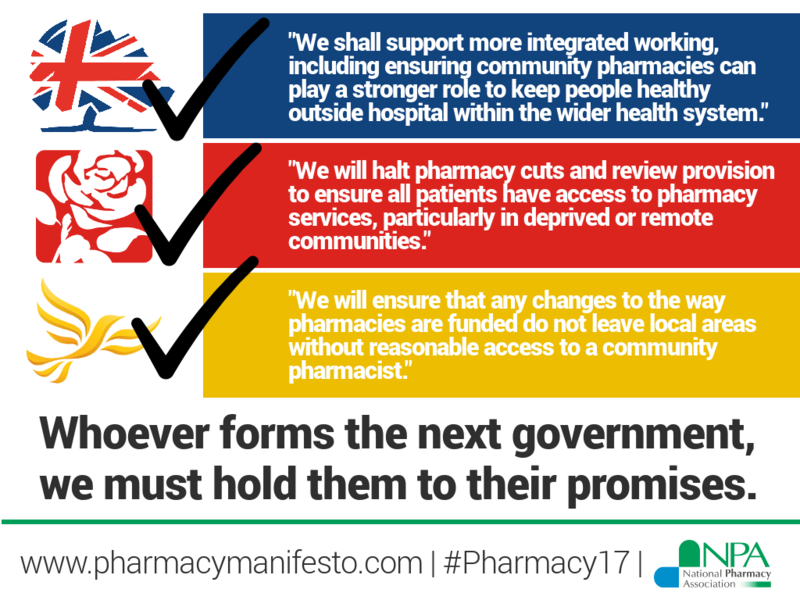 On December 17th 2015, the Department of Health announced drastic cuts to community pharmacy funding and related moves to shift focus, activity and resources away from local pharmacies. The NPA – in partnership with others in the sector – embarked on a campaign to challenge this damaging policy direction and make the case for a better way forward. The campaign has taken the debate into the public domain through the media and social networks, built a formidable support base in parliament and mobilised millions of patients to support local pharmacies. We want to rally all independents to the cause and we guarantee that former members will be welcome home with open arms: there has never been a more important time to show solidarity with your fellow independents. We are asking pharmacy teams to help gather evidence to show politicians and officials that local pharmacies are much more than just a distribution point for medicines. Bringing together true life stories about the benefits of accessible, locally based healthcare, and shows the importance of face to face relationships between patients and health professionals. It’s a reminder that the human touch matters in healthcare. Stay up to date with the latest information on the Government’s proposals by signing up for campaign update email alerts. For further information about this campaign, please email us.